Peepel Get Ready ~ Android Forever! No, I didn't just lose my ability to spell. Peepel is one of those Web 2.0 web sites that offer amazing interactive capability to your web experience. 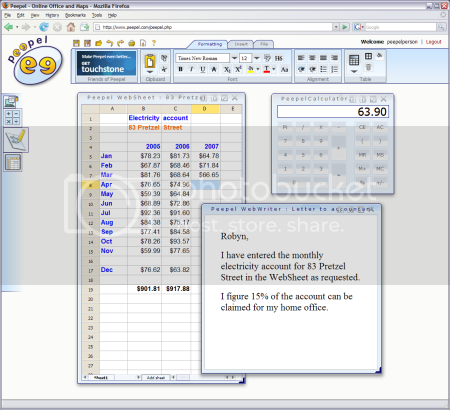 It's an online office suite that offers a sweet office environment in a single browser window. Peepel is a unique approach to online applications, allowing multiple applications to run in the same window. Users can open as many applications as they wish in multiple resizable PeepelWindows within the one browser window. PeepelWindows are not pop-ups and can be resized, moved, stacked or cascaded. Take a look at this screenshot. It's a beautifully designed setup, don't you think? Check it out for yourself by clicking on the graphic below.